Our guide to San Jose will help you find the best vegetarian restaurants in San Jose California. To many the South Bay is synonymous with Silicon Valley, the center of high-tech research and the corporate headquarters of such giants as Apple, Sun Microsystems, Oracle, and Hewlett-Packard. But Silicon Valley is more a state of mind than a place -- it's an attitude held by the legions of software engineers, programmers, and computerphiles who call the area home. That home is becoming increasingly visitor-friendly; within the sprawl are appealing towns whose histories stretch back centuries, a thriving arts scene, and shops and restaurants to satisfy the most discerning tastes. There are tons of great vegetarian restaurants in the city of San Jose, our city guide will help you find the best vegetarian restaurants. You may have a hard time deciding what to do in San Jose, but we make your decision easy. 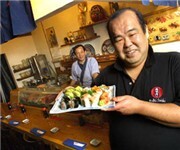 1140 Lincoln Ave, (408) 287-9854 - Yuki Sushi is a vegetarian restaurant located in San Jose CA. 1445 Foxworthy Ave, (408) 264-5781 - Georgio's Italian Food & Pizza is a vegetarian restaurant located in San Jose CA. 1480 S De Anza Blvd, (408) 777-8897 - Layang Layang is a vegetarian restaurant located in San Jose CA. 155 W San Fernando St, (408) 283-9400 - Chicago Pizz'a is a vegetarian restaurant located in San Jose CA. 1644 E Capitol Expy, (408) 238-8686 - Di Lac Vegetarian Restaurant is a vegetarian restaurant located in San Jose CA. 2591 N 1st St, (408) 432-3229 - Thai Orchid Thai Cuisine is a vegetarian restaurant located in San Jose CA. 2597 Senter Rd, (408) 998-8826 - Di Da Vegetarian Fast Food is a vegetarian restaurant located in San Jose CA. 390 E Santa Clara St, (408) 288-6788 - Global Vegetarian Bistro is a vegetarian restaurant located in San Jose CA. 520 E Santa Clara St, (408) 292-3798 - International Vegetarian House is a vegetarian restaurant located in San Jose CA. 5499 Snell Ave, (408) 365-2042 - Pho My is a vegetarian restaurant located in San Jose CA. 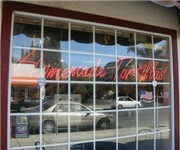 792 E Julian St, (408) 995-5488 - Casa Vicky Catering & Cafe is a vegetarian coffeeshop / cafe located in San Jose CA. There are plenty more vegetarian restaurants in San Jose. See all vegetarian restaurants in San Jose California.